The netsuke chosen to represent 2016 is a Monkey, squatting, pointing at something on his left hand holding down a tortoise. Ivory with well defined hair-work, eyes inlaid in dark horn, early nineteenth century, signed Okatori. The monkey was first worshiped in return for some supposed services rendered to the individual who went to India, by special command of an Emperor of the Tang dynasty, to obtain the Sacred Books of the Buddhist religion. This Emperor deified the monkey, or at least he conferred the august title of “the Great Sage equal to Heaven” upon that quadruped. The monkey is believed to have the overall control of hobgoblins, witches, elves, etc. people often imagine that sickness or want of success in study and trade, is caused by witches and hobgoblins. hence the sick, or the unsuccessful, worship the monkey in order to obtain his kind offices in driving away the evil influences of various imaginary spirits or powers. The monkey is considered a sensual and very impudent animal. In old long bygone days, monkeys were used in the Imperial stables to watch over the horses which are believed to venerate. The monkey is probably the most popular animal and has been made the hero of many legends. It is said that if you are born in the year of the Monkey you are likely to be an erratic genius. During the last century till now, years of the Monkey Years were in 1920, 1932, 1944, 1956, 1968, 1980, 1992 and 2004, and again in 2028. In 60 year cycles, the 12 zodiac animals are repeated 5 times, representing the 5 elements Wood, Fire, Earth, Metal and Water. Of course it is not that simple; 60 is merely the most common denominator of 10 x 12, the ten representing the 5 elements but in order to make it ten, the Japanese have adopted a big (elder) brother and small (younger) brother of each of the five stated elements. In all eastern languages, big brother and younger brother is one noun each, and not formed by a noun (brother) plus an adjective (younger or bigger [elder]) like in western languages. Actually, in 2016 the year of the Monkey starts on February 8, 2016 and lasts till January 28, 2017. As the 9th animal in the Eastern zodiac, the monkey indicates the hours between 3 pm and 5 pm. Best wishes for a great Year of the Monkey! Both Uschi and Willi wish you a wonderful spring and summer season with lots of fun, happiness, good health and some great relaxation or a vacation with friends and/or family. As usual, we started the New Year of 2015 in our house in Nevis and also as usual, we old folk stayed there till mid-March when we took a speed boat over to Reggae Beach and a taxi to Bradshaw International in St. Kitts. This time, however, we boarded a BA flight to Gatwick from where there was an easy connection to Geneva. In May, Willi made his annual pilgrimage to Japan to see his friends and Sumo while Uschi drove to Kempten via the home of our son Nic and his wife Alexandra and the 3 grand kids Leonie, Keana and Matteo in Dättlikon, near Zurich, to see her relatives and friends in Germany. Japan was sort of sad as Willi’s best friend Sam had passed away on the very day of his 84th birthday in 2014; also the traditional Old Boys get together is, sadly, constantly dwindling. Without telling anyone, I went with a friend to the Sosanji temple on a bright day to pay my respects to Sam. Our customary visit to Chiang Mai started on October 15. Apart from the customary visit to the dentist, we met with Marc & Luxami Dumur, Ping Kaiwala, Pimpan Charoenjit, Hans Baumann. Claude Marsens unfortunately was not available this year in Bangkok. Again we flew into Haneda, from Bangkok, with a far shorter ride into town than from Narita. After a few days at the Royal Park where we were treated royally as always, our friends Adi & Susi Schulthess flew in from Manila where they had visited their youngest son Eric and his family. In Tokyo, Hideki Nagano drove us to his mother’s Sadako’s home where she not only prepared a sumptuous kaiseki luncheon but also showed us her many beautiful kimono designs and dyes. After Tokyo, we proceeded to Honolulu where we met Martin Wyss and his wife for a very nice Hawaiian meal, had chats with Valerie Reisert and Baby Handl; later flew over to the Big Island where we had a good time with Kimo + Karen Dejon. We were driving around the whole Island but due to the thick clouds could not take the long expected helicopter trip to the Mouna Kea. From Kona, United brought us to Los Angeles from when we rented a Ford Edge SUV that was our transport for 3 weeks. We met Jurg and Joan Mattmann for lunch in Temecula where we also stayed at the comfortable South Californian Winery with quite nice wines. From there to Borrego Springs and then on to Yuma AZ where we stayed in the casita of Charlie and Lynn Simants. One day, we went over the border to the small town of Algodones in Mexico, 10m. away from Yuma, with all kinds of businesses catering to US clients, all paid in greenbacks. Good and inexpensive food & drinks are available, live music and dancing even at lunch time. Well stocked pharmacies and dentists abounded. Huge parking spaces available on US territory. The border control is quite severe with returnees; all must show photo identity but we were not checked as to the value of goods brought into the US. We then drove along Salton Lake to Palm Springs where we met Ed Marteka, our old neighbor from Kobe where we repeated our raclette dinner. We had found the cheese in a wonderful store in N. Wilshire Bvd. by online search – you hardly find such a variety anywhere in Europe, also meats, oils, wines, spirits, breads, chocolates, you name it, they have it. Something we had wished to visit for years but so far never had the time, was Death Valley CA. Though not the summery heat in the 130s F, – it was actually quite cold in the mornings, below 50F/10C. It was a long trip in and out, but once there, we enjoyed the many rock formations, the shadows thrown especially by the afternoon sun, the vastness and the emptiness of the area. The Inn at the Furnace Creek is quite comfortable in the middle of nowhere but when you have an overflowing toilet at 1 am flooding the whole bathroom, due to the carelessness of the room attendant, this spoils your whole stay…. We returned to civilization through another more westerly route taking us through Trona, a huge mineral complex (Borax), then visited the airlines boneyard http://www.airplaneboneyards.com/southern-california-logistics-airport-victorville-boneyard.htm near Victorville where we spent the night in a very comfortable Hilton Garden Inn. The next day on we drove through Yucca and the Joshua tree country of San Bernardino County (14 were shot dead that night!) back to Palm Desert where in the meantime James and Julia Smith of Hilton (Hong Kong) fame had arrived from their native Scotland for their 3 month wintering, golfing, entertaining and what else is on their extensive program. Back to LA and the LACMA for another encounter of the Otoman tiger, then a 4-hour flight to Chicago where we expected to freeze our butts off because we do not carry any winter clothes with us but it was around 10C. There we met Stacie Hartman, a dear acquaintance of a trip to the Torres del Paine journey many moons ago and the next day took a Pullman Rail Journey to New Orleans. From there, we drove along the Gulf of Mexico with our friend Martha Murphy to her beautiful Longboat Key home, and spent 3 days there with her, then on to Miami where we will meet with Joe + Elena Kurstin, Peter + Nora Hüppi, Colette Liffman and others. Departure for Nevis is on Dec. 22. This year, son Nicolas and his wife Alexandra and the 3 grandkids Leonie, Keana & Matteo will, most unfortunately, not be able to join us for the Festivities this year. In closing, Uschi joins me in wishing you all a very Merry Christmas and a most wonderful, happy, successful and healthy New Year of the Monkey 2016! *The Zurich number +41 44 586 5060 is in Switzerland and reaches us in Nevis over the Internet, if no answer, pl. just leave a message and your number and we will call you back within 24 hours. The Chinese calendar – which existed there already since around 2000 BC- was adopted by Japan from around the 6th century AD, together with Buddhism. The Zodiac has an influence on the character of mankind. Each of the 12 ‘animals’ has specific characteristics. The goat (hitsuji) symbolizes elegance, artistic demeanor and good-natured personality. In Chinese culture, people born in the Year of the Goat are regarded as inclined to worry too much, often they are peace-lovers preferring to avoid disagreements. Others may put upon people bearing the Sheep or Goat sign, but they are stronger than they seem. Family is very important. During the last century till now, years of the Goat Years were in 1919, 1939, 1943, 1955, 1967, 1979, 1991 and 2003, and again in 2027. In 60 year cycles, the 12 zodiac animals are repeated 5 times, representing the 5 elements Wood, Fire, Earth, Metal and Water. Of course it is not that simple; 60 is merely the most common denominator of 10 x 12, the ten representing the 5 elements but in order to make it ten, the Japanese have adopted a big (elder) brother and small (younger) brother of each of the five stated elements. In all eastern languages, big brother and younger brother is one noun each, and not formed by a noun (brother) plus an adjective (younger or bigger [elder]) like in western languages. Actually, in 2015 the year of the Goat starts on February 19, 2015 and lasts till February 8, 2016. 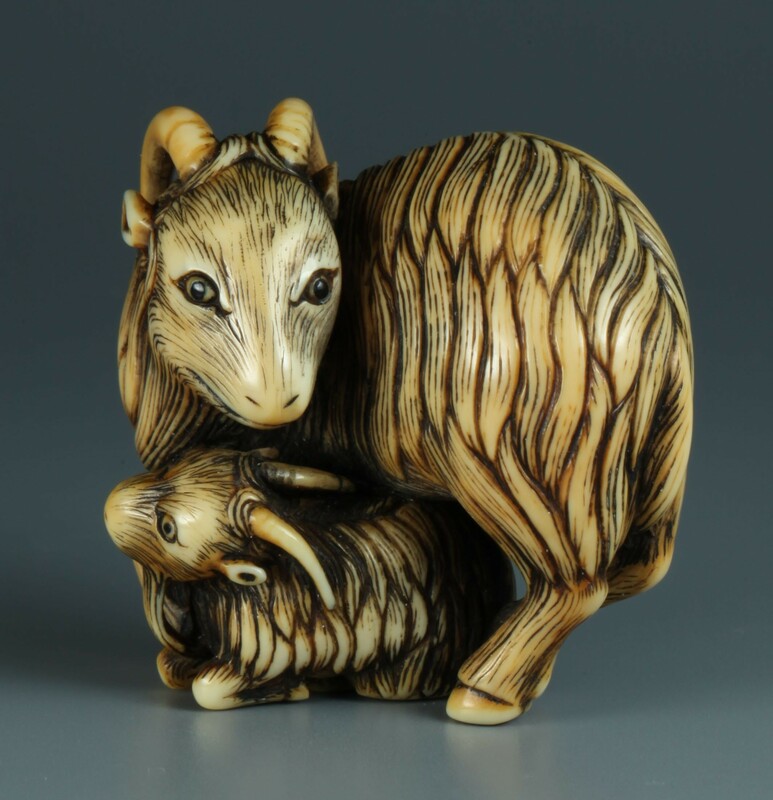 As the 6th animal in the Eastern zodiac, the Goat indicates the hours between 1 & 3 pm. In our Western Horoscope, the Goat corresponds to the Lion. Best wishes to all for a splendid Year of the Goat, 2015! In May, Willi made his usual pilgrimage to Japan to his friends and Sumo whilst Uschi drove to Kempten via the home of grand kids in Dättlikon, near Zurich, to see her relatives and friends. It was like a homecoming of sorts although it was by Swiss International and alas not by the former so much admired Swissair with whom I landed 50 years earlier also in Haneda airport, and which at that time looked more like a shack… The past 30 years, we had to use Narita for international travel but nowadays many top airlines have returned to Haneda, just 30 minutes away from downtown Tokyo. On a weekend, I took the Shinkansen to Kobe where Andy Müller had invited me to a Swiss BBQ on the mountain, like we had arranged so many on Mt. Futatabi in the 70’s. Their’s was a magnificent affair under a proper set up made by the authorities with good quality installed banks and fix grill equipment and most importantly, excellent grilling supplies like sausages, meat loaf, breads, salads, just absolutely professional. Unfortunately I had a little accident in going there, trying to protect some Dezaley wine on the escalator at the Crowne Plaza Hotel but all turned out well in the end though it looked terrible. On Monday after the BBQ, I was most grateful to be allowed to visit Akihiko Otsuka who has been hospitalized in Osaka for quite a long time already; it was very important for me to make that visit. We met in the late 80’s through a business relationship which over the years developed into a friendship. When in Tokyo late in October, I tried hard to visit him again but was unfortunately not able to do so and when in LA in late November, I received the sad information that he had passed away on the 28th, I could realize why I could not visit. May “the owner”, as he was referred to, rest in peace – I will miss him. Sam’s company, Nichibo Shoji, was a good client of Nestlé – especially Sam himself was the very first Nespresso distributor in late 1985 letting do us a soft start to deliver machines and capsules to the Tokyo foreign community for the Christmas season. But Nichibo is also the sole Agent for Patek Philippe so they had many mourners attending his funeral and I was asked not to come as they could not give the proper attention to me. Therefore, Uschi and I made a visit late October to attend a sort of memorial visit to Sam’s beautiful century old gravesite in the wonderful Sosanji temple in Shinjuku Ward, with his nephew and his mother. Sam, rest in peace together with Hiroko – we are missing you dearly. Before arriving in Tokyo in late October, we were in Thailand, first in Chiang Mai where we visited Hans Bauman, formerly Kobe’s QC manager. He is now on the upswing but had been quite sick, having stayed nearly 3 months in hospital for prostate cancer treatment. Due to the strong medicine, he has lost a lot of calcium and now walks bent and with a limp – he is doing everything he can to improve as fast as possible. He even bought Nordic walking sticks, of course he eats right and takes a lot of calcium. He has a strong will and therefore is very likely to succeed. We then flew over to Phuket where we stayed with Fabrizio Colombo whose house at the end of Patong Beach was destroyed by the tsunami in 2008 but he rebuilt it successfully. He had made contact with Max Kägi who I could no longer contact as he was in hospital with water in the lungs and also mouth so even in front of him it is very difficult to understand him. Fortunately he has a very kind middle age Thai lady mothering him and taking excellent care of him, meaning even feeding etc. From Tokyo, we proceeded to Tahiti to make the tour of the major islands of Moorea, Raiatea, Taha’a, Bora Bora and Huahine on the 4 mast Wind Spirit. It was as we wished and got, a totally different experience than last year’s Marquesas trip on the Aranui3. In Papeete, we were again staying at the Manava Tahiti Beach Resort introduced last year already by none other than long time and frequent visitor Andy Muller who this time was even in residence. We had a chat, and he took us downtown in his car for me to get a nano SIM card for my iPhone. On Friday night, 21.11. Air Tahiti Nui took us to LAX from where we went to Jürg Mattman in Oceanside to pick up a Raclette oven. From Papeete we carried 2kg of Raclette cheese for Charlie and Lynn Simants in Yuma AZ, friends we made on the Wind Spirit, and also for Ed Marteka in Palm Springs who, I just found out, also suffers from prostate cancer and others and was very depressed, so we went there to cheer him up a bit. Of course we saw Pat Wanner for dinner and paid a visit to the LACMA to see our Otoman tiger there. Then on it went to Miami from where we visited Martha Murphy in her beautiful Longboatkey home, as well as Peter & Nora Hüppi, and others. Departure for Nevis is on December 12. This year again, son Nicolas and his wife Alexandra and the 3 grandkids Leonie, Keana & Matteo will arrive on December 19th and stay for over 2 weeks when they flew over to St. Martin for 2 days on their own in a fine Beach Resort before flying home for business and school. It should become a great holiday for all of us. In closing, Uschi joins me in wishing you all a very Merry Christmas and a most wonderful, happy, successful and healthy New Year of the Goat 2015! *The Zurich number +41 44 586 5060 is in Switzerland and reaches us in Nevis over the Internet, if no answer, just leave a message and your number and we will call you back within 24 hours. The numbers here in Nevis are Land line +1 869 469 8818 cell Uschi +1 869 665 8322 and Cell Willi +1 869 660 2000. This time, our neigbhour in Nevis and good friend Eric Lamb, a man who has been around the world with his heavy bike now stationed somewhere near Andermatt in Switzerland where he has a wonderfully equipped pied-a-terre, has visited that area at the end of the world. He traveled it towards the Chilean side whereas we stayed more to the sea shore facing the Falklands or the Malvinas as these disputed Islands are known locally. The following link will Show his Report and some Photos he took earlier this year and which were reproduced in The Observer of St. Kitts and Nevis. The Chinese calendar -which existed there already since around 2000 BC- was adopted by Japan from around the 6th century AD, together with Buddhism. The Zodiac has an influence on the character of mankind. Each of the 12 ‘animals’ has specific characteristics. The horse symbolizes graciousness, dignity, momentum and firmness. 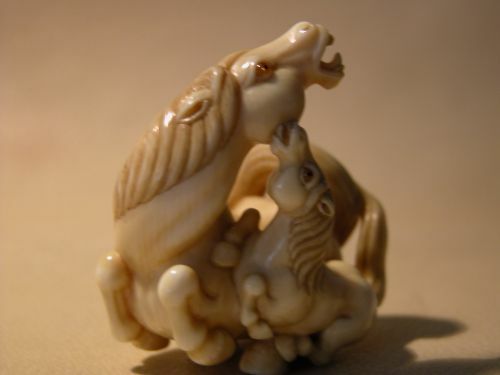 In Chinese culture, people born in the Year of the Horse are regarded as witty, elegant, eloquent speakers and charming. Most of them possess a gift for getting their way through to the heart of other people. People bearing the horse sign strive towards seeking freedom and happiness. Horse people are lively, bright and are known for their physical strength and they can express themselves well when communicating with other people. During the last century till now, years of the Horse Years were in 1918, 1930, 1942, 1954, 1966, 1978, 1990 and 2002. In 60 year cycles, the 12 zodiac animals are repeated 5 times, representing the 5 elements Wood, Fire, Earth, Metal and Water. Of course it is not that simple; 60 is merely the most common denominator of 10 x 12, the ten representing the 5 elements but in order to make it ten, the Japanese have adopted a big (elder) brother and small (younger) brother of each of the five stated elements. In all eastern languages, big brother and younger brother is one noun each, and not formed by a noun (brother) plus an adjective (younger or bigger [elder]) like in western languages. Actually, in 2014 the year of the Horse starts on January 31, 2014 and lasts till February 18, 2015. As the 6th animal in the Eastern zodiac, the Horse indicates the hours between 11 am and 1 pm. In our Western Horoscope, the Horse corresponds to the Cancer. Best wishes to all for a splendid Year of the Horse, 2014! We started the New Year in our house with the whole family, son Nicolas and his wife Alexandra and the 3 grandkids Leonie, Keana & Matteo. We enjoyed their company for over 2 weeks when they flew over to St. Martin for 3 days on their own in a fine Beach Resort before flying home for business and school. It was a great holiday for all of us. As usual, we old folk stayed in Nevis till mid March when we took a speed boat over to Reggae Beach and a taxi to Bradshaw International in St. Kitts from where AA flew us to Miami where we spent a few days visiting friends and made a few purchases for the house back in Nevis and for home in La Tour, then flying with Lufthansa home to Geneva. May saw Willi flying to Japan to meet his old colleagues and business associates and, of course, he attended the last 4 days of the Tokyo Sumo basho, one even partly with Sale Konishiki. One morning we had breakfast with Sale and Martin Fluck at the Royal Plaza. Big Sale is still big, but has lost a lot of weight due to a stomach bypass and looks very genki (healthy). Uschi went to see friends and family in Germany. Then it was time to start our 2013 trip which led us via our usual route of Thailand to Perth, where we took more or less the same tour that we had done before with Turi Junker of Sandgroper Tours in 2005, though on that occasion I could only do the tour lying on my back all the time owing to a pinched nerve in you know where… The tour went from Perth via Bunbury, Margaret River, Albany, Esperance up to Hyden (Wave Rock) back to Perth. We had good though rather cool weather; the flowers were out in full bloom. This time Turi’s wife Silvia joined us which made the trip and the lunches all the more enjoyable. On for a few days in Sydney, more friends to see: Rudi & Mikari Zingg, Robert & Josie Rutishauser, John & Nora Flint, Steve & Christine Gorman, Mary Harada, and other contacts only on the phone. Early one morning we took our Qantas flight to Auckland, with a short wait for the connection by Air Tahiti Nui to Papeete and the Radisson for a couple of nights until boarding the Aranui 3 for our 13 day voyage on the combined freighter/cruise ship to the Tuamoto and the Marquesas Archipelago, all about 10° S latitude and between 138° and 140° W longitude. The Aranui 3 was finished in 2002, Gross 7418 tons, 117 m long, 17,6 m wide with a draft of 5,5 m. 198 Passengers in 11 suites, 12 deluxe cabins, many standard cabins and berths and a dormitory. On this trip the ship was about 75 % full, and of course all the top accommodations were fully booked. The food was nothing to write home about, the wine ditto, except one fantastic Polynesian buffet but the local personnel on the service were very friendly and efficient. This was the order of the trip: Papeete – Takapoto (Tuamoto Archipelago) – then 42 h at sea to the Marquesas Archipelago. First island on day 4 was Nuku Hiva, next day Ua Pou, then the largest, Hiva Oa, followed by the smallest Fatu Hiva. On Day 7 back to the south of Hiva Oa. On Dec. 1 Tahuata, Day 9 Ua Huka, day 10/11 back to Nuka Hiva and Ua Pou to load the ship fully with copra before leaving the Marquesas sailing 45 h back back to Rangiroa in the Tuamoto Archipelago for a last visit on shore and some more copra before reaching Papeete on day 14 early in the morning. The crew normally unloads the freight destined for the port either in iron crates or by whole 20 ft containers in barges; they later drive back with varying quantities of jute bags full of copra. This is the main livelihood on which the islanders live and they do live quite well, I must say, thanks to the high subsidy paid by the French Government, ca. 8-9 times the going world market price! Therefore, the Marquesans have about the same level of income as the average Frenchman. The few roads are all concrete or asphalt, and most pickups or SUVs are recent models or brand new (the Aranui carried 6 of them). They do a lot of fishing and agriculture for their living. But due to the heat & high humidity, the pace is slow. The land visits are mostly well organized, some from the quay-side but often by the ship’s barges, and then on foot to the small villages, with 4x4s when the distances are significant. Mostly, we see churches, and their cemeteries, old archeological sites and lots of handicraft centers. Most islands make different specialties, some in wood carvings, others produce paper bark things, still others have blacks pearls, fine bone carvings, many also have colorful pareos, etc. etc. The area is volcanic and very few are inhabited. Before the Europeans arrived in larger numbers around 1840, it is estimated that perhaps 300,000 people lived in these islands. However, illnesses unknown before, like the common flu and many social problems like syphilis, etc. as well as alcohol and tobacco decimated that population to some 60,000 in 30 years or less. Only very young and very old people survived, and therefore much of the culture was lost. On day 5, we were in Atuona, the main town on Hiva Oa, where Paul Gaugin and Jacques Brel are interred. A very nice museum with many replicas of the artist, and of course Brel’s restored twin engine Dassault Bonanza. He must have had great help in procuring the necessary aviation fuel back in the seventies, since we had problems in Nevis in the late nineties for our AeroCommander. The distances here are much greater than SXM to NEV, it’s rather like Miami to Nevis! In 1897, Karl von den Steinen of Berlin University came to the large island of Hiva Oa. He managed to have discussions with the last surviving priest, having previously worked at the Te l’Ipona site in Puamau , north side of Hiva Oa, about all their traditions and vdSt kept detailed records for his University. Also nearby is the tomb of the last chief of Puamau. One day we went on land and watched the making of Tapa (bark cloth made from 3 local trees, namely the Mulberry, Breadfruit and Banyan) and flower bouquets. The sturdy ones among us later went on a 10 mile hike steeply up through a terrain totally without shade to some 650 m altitude, where the crew had brought a nice picnic – the 2 hour descent was fabulous they said with fantastic views. There were 36 sturdy gals/guys who went on that hike; most participants were exhausted from the exertions but they were nevertheless very happy to have participated. Back in Papeete, we will be staying at the Manava Tahiti Beach Resort introduced by none other than long time visitor Andy Muller who comes here several times a year. Air Tahiti Nui will then take us to LAX from where we will fly to Miami and reach Nevis on Dec. 17, just in time for X’mas and New Year, this time without the family, to our great regret. We have however visited friends in Palm Desert where we stayed with James and Julia Smith at their home overlooking one of the Golf courses thee. And in Miami we met Colette Liffmann, and had a great time with Peter and Nora Hueppi with son Peter-Andreas as well as with Joe and Elena Kurstin the night before we left for Nevis. We also had to do all our shopping needs there for our forthcoming 3 months stay on the island, the Hilton shuttle had to run an extra van just for us and our 6 bags…. In closing, Uschi joins me in wishing you all a very Merry Christmas and a most wonderful, happy, successful and healthy New Year of the Horse 2014! *The Zurich number +41 44 586 5060 above is in Switzerland and reaches us in Nevis over the Internet, if no answer, just leave a message and your number and we will call you back within 24 hours. The numbers here in Nevis are Land line +1 869 469 8818 cell Uschi +1 869 665 8322 and Cell Willi +1 869 660 2000. The Chinese calendar -which existed there already since around 2000 BC- was adopted by Japan from around the 6th century AD, together with Buddhism. The Zodiac has an influence on the character of mankind. Each of the 12 ‘animals’ has specific characteristics. Persons born during the Year of the Snake are said to be endowed with wisdom and with deep philosophical understanding. They are born thinkers who excel in finding solutions to complex problems. In matters of business they can be shrewd, biding their time in making a deal only to strike like lightning and make a killing when they judge the moment is right. Thus in life, the majority of Snakes are financially successful and generally lucky with money; their fortunes very much depend on their careful and considered judgment in financial affairs and on their intuitive feelings in business negotiations. These are clever, intelligent people who take time to formulate their ideas and opinions. Even when they are at their laziest, their minds are working overtime, laying their schemes and hatching their plots for the future. During the last centurytill now, years of the Snake were in 1917, 1929, 1941, 1953, 1965, 1977, 1989 and 2001. In 60 year cycles, the 12 zodiac animals are repeated 5 times, representing the 5 elements Wood, Fire, Earth, Metal and Water. Of course it is not that simple; 60 is merely the most common denominator of 10 x 12, the ten representing the 5 elements but in order to make it ten, the Japanese have adopted a big (elder) brother and small (younger) brother of each of the five stated elements. In all eastern languages, big brother and younger brother is one noun each, and not formed by a noun (brother) plus an adjective (younger or bigger [elder]) like in western languages. Actually, the year of the Snake starts, on February 10, 2013 and lasts till January 30, 2014. 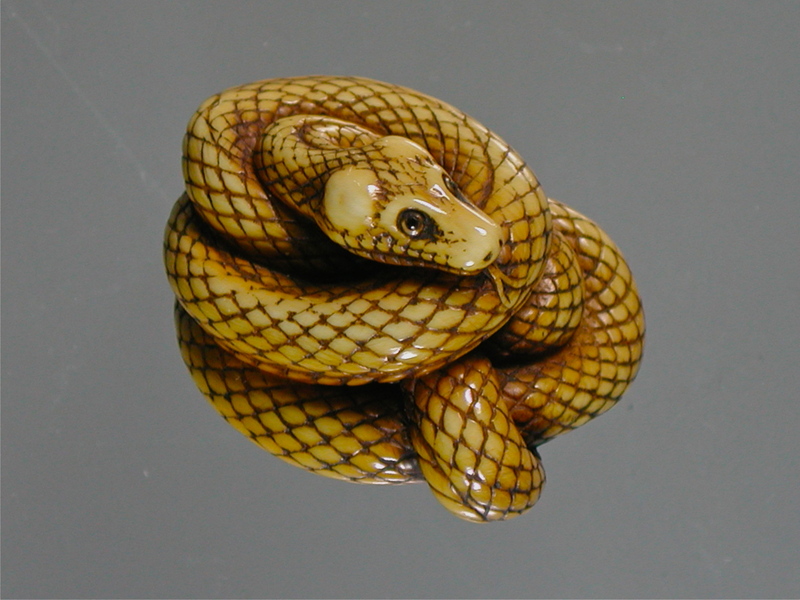 As the 5th animal in the Eastern zodiac, the Snake indicates the hours between 9 am and 11 am. In our Horoscope, the Snake corresponds to the Taurus. Best wishes to all for a splendid Year of the Snake, 2013! In early January, Willi flew from St. Kitts via Miami and Washington D.C. to Tokyo to help the CEO of a Swiss high tech company, where he has an investment, to negotiate a licensing agreement. It was a quite successful trip. Returning via Switzerland and Miami, in late January, unfortunately I could not take along some of the famous wagyu beef. As usual, we stayed in Nevis till mid March when we took a speed boat over to Reggae Beach and a taxi to Bradshaw International in St. Kitts from where AA flew us to Miami where we spent a few days visiting friends and made a few purchases for the house and for home in La Tour flying home to Geneva. Soon after our return, the health of Uschi’s younger sister Friederike started to deteriorate rapidly. She was transferred to the Lausanne University Hospital’s palliative section where after some 10 days she left this world peacefully surrounded by her family including her 2 year old grandson. Summer was a marvelous time at Lake Geneva, good for swimming, taking walks or naps on the terrace after a fine lunch with visitors. In late September we left for Northern Spain for a one week trip on a fine luxury train called El Transcantabrico from San Sebastian to Santiago de Compostela. This ride could have been completed in several hours, but it was done in short stretches where a luxurious bus waited to take us to visit the historic sites and also to have lunch and dinner in the top restaurants of the place. The train itself served as hotel and breakfast place. We enjoyed great seafood of the Basque region, wonderful weather and the ample green of the countryside thanks to large rainfalls in the mountainous area. We were also positively impressed with the lack of graffiti in the towns and cities. After that, we took a taxi to Braga in Portugal from where we took another rapid train, this time to Lisbon, to visit our old friend Julio Faria de Sousa from Expo 70 times in Osaka, Japan. Staying at the fine Tiara Hotel in the Center, we enjoyed great Portuguese hospitality and food, such as bacalao (cod) and carne de porco al Alentejana, etc. Our big trip of the year started soon after our return from Portugal, first to Japan, a few days each in Tokyo, Kyoto (Hiiragiya is always worth a 3 day stay, more is bad for the check book), Koya-san, Kobe and Osaka. But then we headed south to New Zealand, for a whole month. Starting in Auckland, we drove in a Toyota Landcruiser to the top Cape Reinga, back on the Ninety Mile Beach actually on the sand (!) to the Bay of Islands, down to Hamilton, Cambridge to Rotorua. From there we took Highway 38 to Wairoa on the Coast, and passed the wonderfully dark blue Lake Waikaremoana. More than 100 km of that winding up and down road was gravel, and we encountered only 3 cars and one speeding school bus which I did not manage to follow, as it was traveling so fast, honking before each corner. The road goes through rain forest with large trees and many fern trees which Uschi loves so much, the weather was fine and we wanted to go to Napier anyway, so it was a great journey. Then we visited the other side of the North Island, around Mt. Taranaki, which looks very much like Mt Fuji. We drove to the heliport on a mountain used for heli skiing, were picked up and in a great flight back to Lake Wanaka landed on 850 m in a little valley with 5 tented lodges, a Club house & staff quarters. We were the only guests, but the chef was already there with the manager’s wife. The manager had come with the pilot to receive us. The weather was quite fresh, but only slightly overcast. http://www.minaretstation.com/welcome, then click on the red square with arrow above About…. After the diving, a flight back to the Lodge, via the back of Mt. Aspiring, which I forgot to say looks very much like the Matterhorn, and hovering over a nearly vertically falling glacier – what wonderful pilot skill. With the attached photo sheet –all taken by Uschi except those of the grandkids, you will find a legend that explains some of the pictures and sights. On the way home, we went to see our old friend from Kobe times, Ed Marteka, alias Uncle Ed. He now lives in Palm Springs and is in Real Estate. He is now redoing a smaller corner house very close to his large villa with all the latest gadgets – very impressive. The only thing which would make it even more TOPS would be one of those high class TOTO toilets, and of course, a real Nespresso machine … We had introduced Ed to some finer points of European cuisine in the 70s at RG mansion, and he quite took to it, even asking me about getting some more of that fabulous Chambolle Musigny 1967 or for Raclette or Viande des Grisons. Obviously he presently prefers an 8 oz cup of Starbucks which he says is great for socializing over a truly super tasty Nespresso (which he had seemingly never even heard of up until then). Before leaving for home, we overnighted in Los Angeles where we had a great sushi dinner with Pat Wanner. We have arrived on Nevis on Dec. 12th, after a snowy drive via the Grand St. Bernard tunnel to Aosta where we had lunch with Carla Ansermin, then drove on to Milano Linate airport from where we took Airfrance to Paris and on to St. Martin, and hence to Nevis. The grandchildren and their parents will join us again this holiday season – they will arrive here on Dec. 21st. In closing, Uschi joins me in wishing you all a very Merry Christmas and a most wonderful, happy, successful and healthy New Year of the Snake 2013! The webpage will be updated before Christmas to include the Snake for 2013. The Chinese calendar -which existed there already since around 2000 BC- was adopted by Japan from around the 6th century AD, together with Buddhism. The Zodiac has an influence on the character of mankind. Each of the 12 ‘animals’ has specific characteristics. Persons born in the year of the Dragon (tatsu or ryu) are healthy, energetic, excitable, but also short-tempered and stubborn. However, they are honest, sensitive, brave and can inspire trust in most anyone. They are the most peculiar of the 12 signs of the Zodiac cycle. During the last century, years of the Dragon were in 1916, 1928, 1940, 1952, 1964, 1976, 1988 and 2000. In each 60 year cycle, the 12 zodiac animals are repeated 5 times, representing 5 elements Wood, Fire, Earth, Metal and Water. Of course it is not that simple; 60 is merely the most common denominator of 10 x 12, the ten being the 5 elements but in order to make it ten, the Japanese have adopted a big (elder) brother and small (younger) brother of each of the five stated elements. In all eastern languages, big brother and younger brother is one noun each, and not formed by a noun (brother) plus an adjective (younger or bigger [elder]) like in western languages. Actually, the year of the Dragon starts on January 23, 2012 and lasts till February 9, 2013. As the 5th animal in the Eastern zodiac, the Dragon indicates the hours between 7 am and 9 am. Best wishes to all for a splendid Year of the Dragon, 2012!